Asking if it's a reaction to "brandaslism", PSFK posts a photo of the latest anti-advertising campaign. 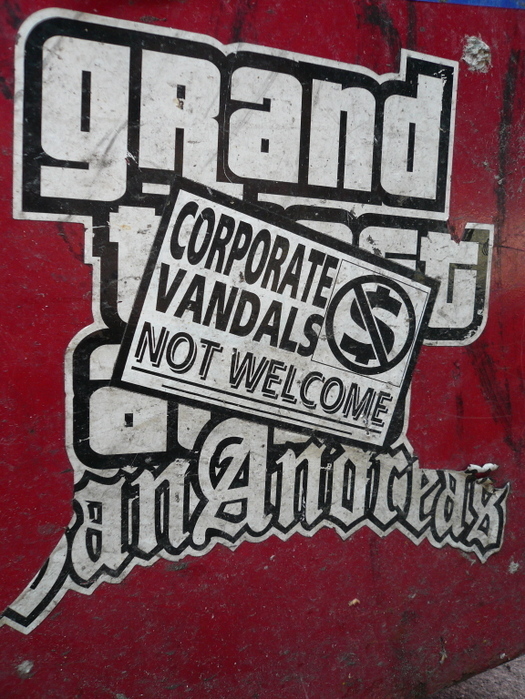 Stickers are apparently being spotted around New York with the phrase "Corporate Vandals Not Welcome" on top of outdoor advertising. 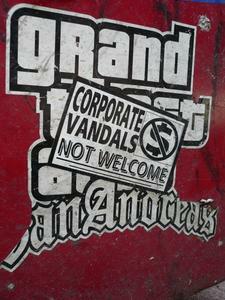 Advertising is often the culprit for most forms of culture pollution, as we've seen in the past. New York has been laying down advertising laws as of late, but they might not be coming soon enough to the advertisement vigilante.